Last Day to pre-register for the HSTM Network Ireland Conference! Leave a comment Last Day to pre-register for the HSTM Network Ireland Conference! 3 DAYS LEFT TO REGISTER FOR HSTM CONFERENCE! Leave a comment 3 DAYS LEFT TO REGISTER FOR HSTM CONFERENCE! This lecture will trace the career of Michael O’ Gorman, who, although born in Ireland, was a physician in the service of Spain, and was appointed Protomedicato in the Viceroyalty of Rio de la Plata. 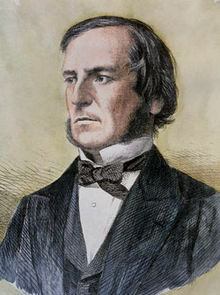 He established the first medical school there, and is regarded as the founder modern medicine in Argentina. As part of Maths Week 2015, Marsh’s Library is delighted to present ‘Here’s Looking at Euclid’, a public talk by Professor Robin Wilson. Tickets: Free event, booking is recommended as there are limited seats. Tuesday 13th the Royal College of Physicians Ireland will host a day of lectures focusing on World War I in the morning and afternoon. From 16:30 – 17:10 will take place presentations of the Kirkpatrick History of Medicine Award Lectures and the reception and presentation of the award itself.